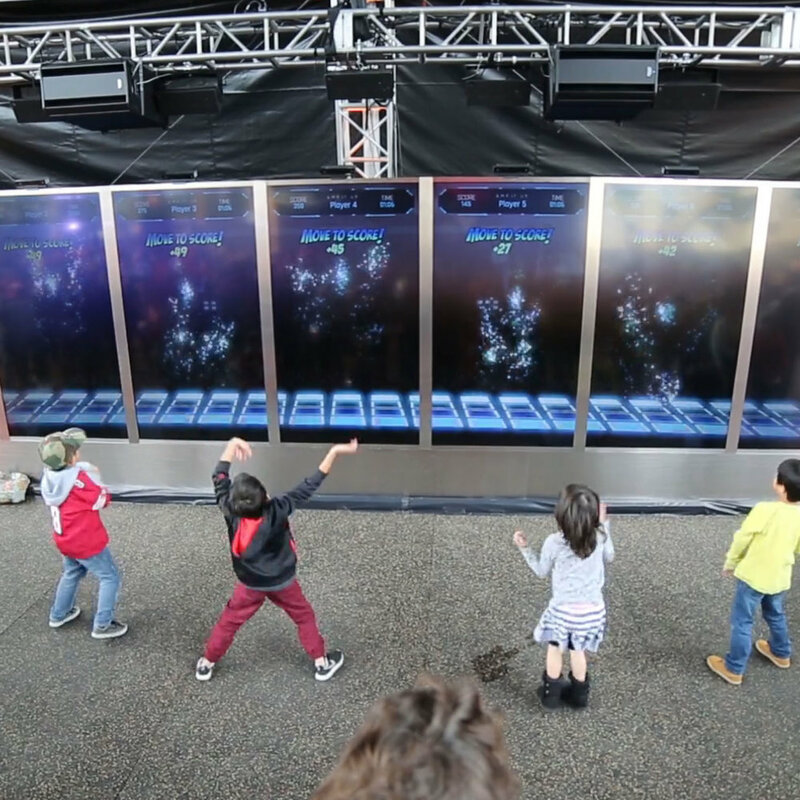 I helped build a futuristic all-ages football game for Super Bowl 50. Over 30,000 attendees played it. 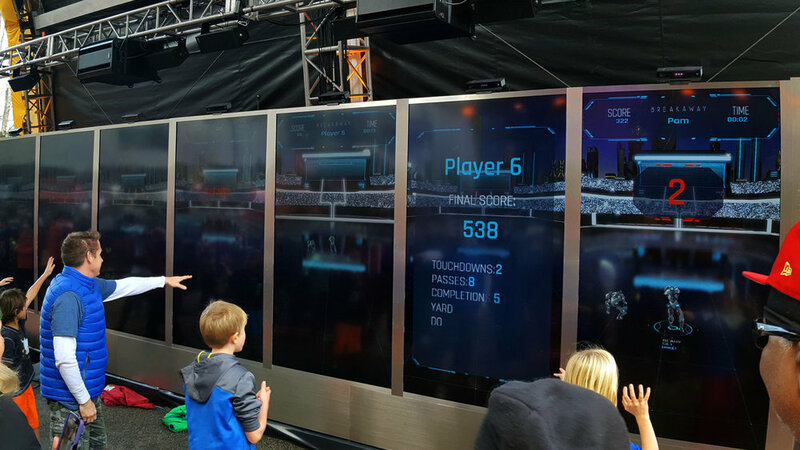 I worked with Britelite Immersive to build eight interactive game stations for Super Bowl 50. Over 30,000 attendees played the game during one week. 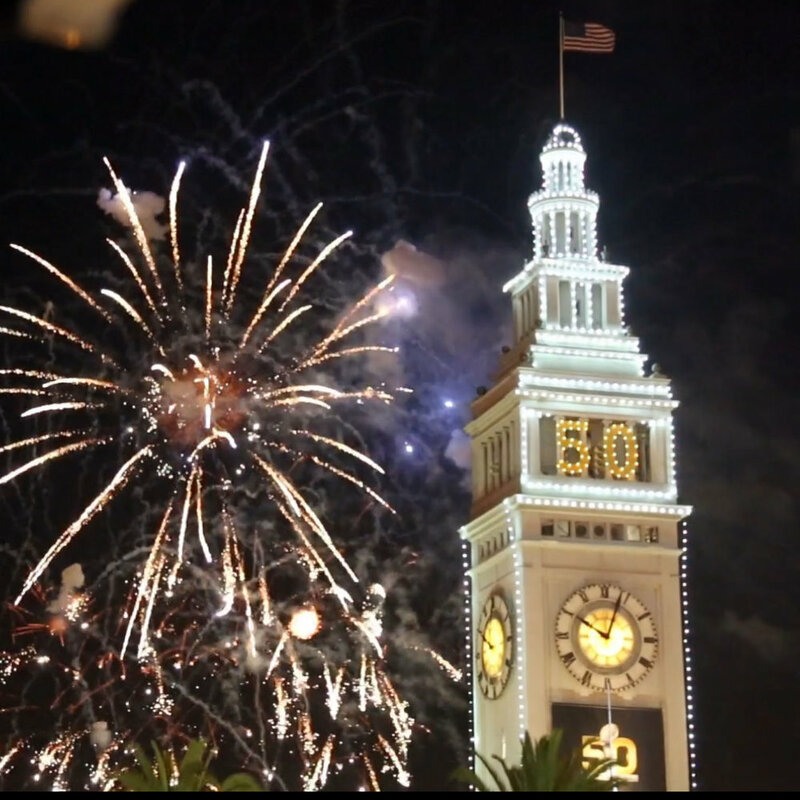 The installation was located at Justin Herman Plaza in downtown San Francisco. The Super Bowl City event had over 100,000 attendees. Our installation lived inside an LED-covered Arch at the center of the plaza. Eight participants can play the game per three-minute session. Player logged in using their phones and competed to win prizes. Behind the scenes, we constantly iterated and tested our prototypes to ensure a great player experience. My involvement in this project was coding, designing the overall architecture, coordinating the development team, developing asset lists, and reporting status to stakeholders. The game was developed using the Unity game engine and the motion data layer was written in C# and transmitted via a local network. Score data was transmitted to a remote service after each session via a REST API. I learned a lot about user testing during this project. I also learned how to cut scope and retain a high quality project. We did four rounds of formal user testing. Each time, we reduced the number of features and focuses on the most fun aspects of the game. We shipped the final game on time and everyone had a blast.